Maintaining spatial awareness of your nage and general surrounds when rolling away to escape an attack is a critical skill in Aikido. Like any skill it requires practice and commitment. Part of the culture of our dojo is to look at new ideas and methods to improve our practice, including ukemi (receiving technique). 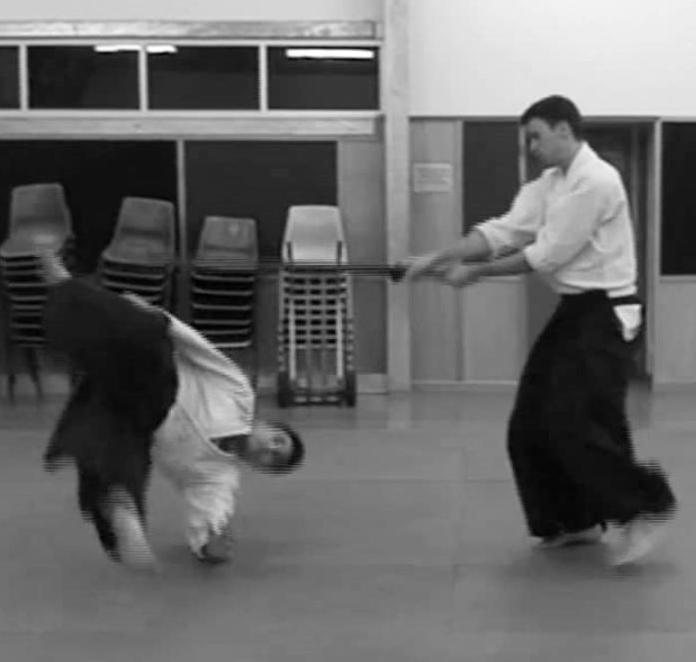 To help practise spatial awareness when forward rolling, one of our seniors (Jeremy) recently suggested an exercise where a bokken (wooden sword) is used as a training aid to sharpen the uke’s focus. An informal recording of the exercise can be viewed below. Just to clarify, the sword being used in the exercise is not a real blade!